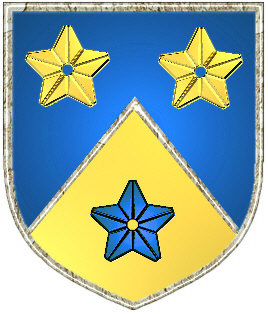 Coat of Arms: A shield divided per chevron blue and gold with three mullets counterchanged. Day, Dea, Dey, Daye, Deie and others. First found in Somerset. Early citings of this name include Aluric Day, in the Pipe Rolls for Buckinghamshire, Ralph Deie, in 1211, who was among those listed in the Register of the Freemen of Leicester. Some of the first settlers of this name or some of its variants were: Stephen Day who became a prominent merchant in Virginia soon after arriving in 1638. Another Stephen Daye (1594-1668), was the first printer in New England, and produced the first book printed in the English colonies. 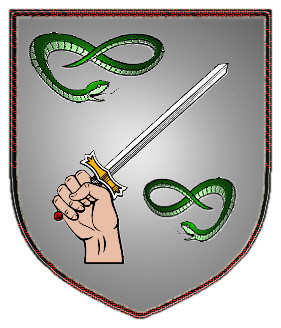 Coat of Arms: On a silver shield, a hand grasping a sword between two green snakes. Day, Dea, O'Dea and others. First found in county Clare where they were seated from very ancient times. Some of the first settlers of this name or some of its variants were: Stephen Day who became a prominent merchant in Virginia soon after arriving in 1638. Another Stephen Daye (1594-1668), was the first printer in New England, and produced the first book printed in the English colonies. Counterchanged. When the shield or any bearing is divided into two or more parts, each part having some charge upon it, which is of the alternate tincture. DAY. A mailing list for the discussion and sharing of information regarding the Day surname and all variations (e.g., Dey) in any place and at any time. To subscribe send "subscribe" to day-l-request@rootsweb.com (mail mode) or day-d-request@rootsweb.com (digest mode). DAY. 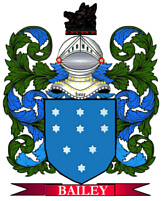 The DAY-UK mailing list is for the discussion and sharing of information regarding the Day surname and variations (e.g., Daye) in the United Kingdom. To subscribe send "subscribe" to day-uk-l-request@rootsweb.com (mail mode) or day-uk-d-request@rootsweb.com (digest mode). DAY. The DAY-SWPA mailing list is for the discussion and sharing of information regarding the Day surname and variations (e.g., Dey, Tag) in Southwest Pennsylvania. To subscribe send "subscribe" to day-swpa-l-request@rootsweb.com (mail mode) or day-swpa-d-request@rootsweb.com (digest mode). DAY. The DAY-DNA mailing list is for the discussion and sharing of information regarding DNA studies related to the Day surname and variations (e.g., Dey, Daye). To subscribe send "subscribe" to day-dna-l-request@rootsweb.com (mail mode) or day-dna-d-request@rootsweb.com (digest mode). *********************************** 14 Betty Jean Matteson b: Corry Memorial Hosp Corry, Erie Co Pa.